From "Zabalaza: a journal of Southern African Revolutionary Anarchism" #7 (December 2006). The 1976 uprising was sparked by the imposition of Afrikaans-language teaching in African schools, seen as an act of national oppression. But there was more at play. The 1970s saw growing inflation creating much discontent amongst urban African youth. South Africa’s economy, which boomed in the 1960s, entered crisis in the 1970s. Unemployment grew steadily, reaching levels unseen for decades. This was fuelled by under-funded, racist and authoritarian government institutions like the local government township administrations, the Bantu Education system and the miserable conditions in the segregated township schools. Although the government and large companies such as Anglo American increased spending on education – mainly to grow the semi-skilled workforce, as large companies were facing major skill shortages – these schools remained under-resourced and over-crowded. They lacked adequate teaching staff or facilities like libraries, sports grounds etc., and ranked the highest in terms of dropout rates and teacher-to-student ratios. Corporal punishment was also used extensively, often sadistically: at Vulamazibuko Higher Primary School in Diepkloof, for instance, teachers frequently punished students by placing their feet in cold water, and then whipping their toes. The State began to experiment with neo-liberal policies as well. 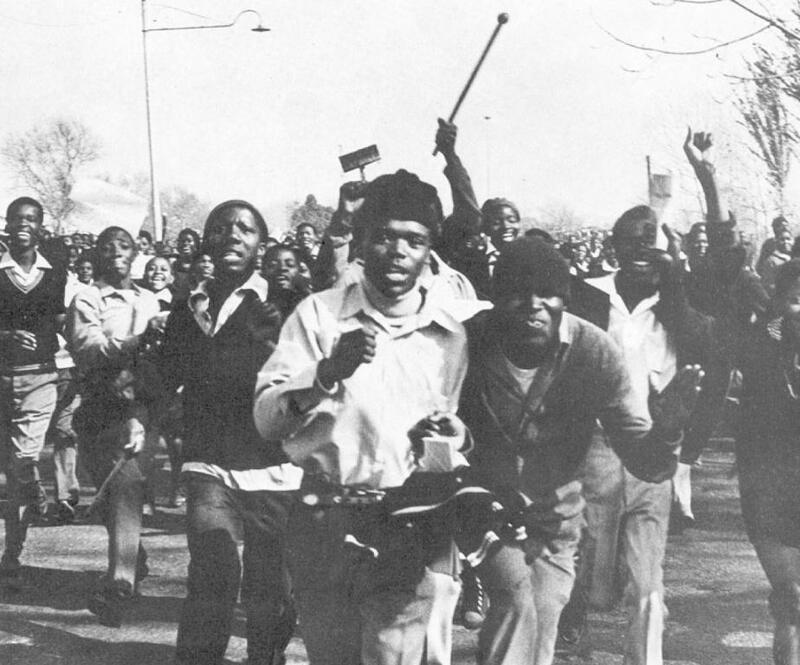 According to the Truth and Reconciliation Commission (TRC) report, a key factor in the 1976 uprising was a leap in rates and service charges by the West Rand Administration Board, which had just lost the R2-million subsidy it had received from the Johannesburg City Council. State spending on education was decreased at the same time that the number of schooling years was reduced. The abolition of standard six created a huge “bulge” of students being pushed into the first year of secondary school, leading to intensified overcrowding and strain on resources. Large schools concentrated African students together, shared frustrations from national oppression and capitalist crisis united them, and they started to look for ways in which they could express and resolve their grievances. Neither parents, nor the exiled nationalist organisations like the ANC, SACP and PAC, provided much direction. As a result, African youth established their own organisations such as the African Student Movement (ASM), which organised students in Soweto schools and aimed to take up student demands and create social and political awareness. Selby Semela – an 18-year-old school pupil and activist – recalled that “the old spinster-huckster organisations” like the ANC, PAC and SACP played almost no role. Instead, members of ASM were influenced by young teachers from homeland universities like Turfloop, who promoted Black Consciousness (BC). Drawing on the ideas of Steve Biko and others, BC stressed the need to instil a sense of pride and self-worth within “black” people before political organisation took place. Here, the term “black” was used to include Coloureds and Indians. The ASM changed its name to the South African Student Movement, and tried to organise beyond Soweto. Other important events inspired Soweto youth. The 1973-4 Durban strikes, which spread to Port Elizabeth and the East Rand, shattered the political quiescence of the 1960s, and signalled the rebirth of African trade unions. The sudden collapse of Portuguese colonialism in Mozambique and Angola led many to believe that national liberation was increasingly possible within apartheid South Africa. So, when the Bantu Education Department tried to implement a new “fifty – fifty” language policy – half of the exam subjects were going to be taught in Afrikaans, a language few teachers spoke, and that many Africans considered the language of apartheid officials, police and racist Whites – revolt was on the horizon. School boards were the first to challenge the language policy, but the Bantu Education department was unbending. Its intransigence became the focus of students’ political anger. By February 1976 students were organising protests. Then a mass demonstration was organised in Soweto for June 16th. Semela was on the “action committee,” which later became the Soweto Students Representative Council (SSRC). The protest attracted around fifteen thousand youths. Many displayed their hostility towards the language policy by waving placards such as “Blacks are not dustbins- Afrikaans stinks” and “Afrikaans is oppressors’ language”. Police had made no preparations for the event, a protest on a scale unseen in years, and tensions rose. At 9’ o clock that morning, police and students clashed on Vilikazi Street: police fired tear gas, demonstrators threw stones, and police opened fire. Two children died, many were injured. The TRC found that Colonel Theuns “Rooi Rus” Swanepoel of the SA Police Riot Unit – a notorious thug – adopted a “shoot to kill” policy. The police action ignited the fury of the young marchers. By midday rioting had broken out across Soweto. Cars were stoned and barricades erected. Arson attacks took place on administration buildings, schools and beer halls. Two Whites were attacked and killed: one was Dr Melville Edelstein, a liberal who had just published a report warning of impending unrest in Soweto. Despite the police’s heavy-handed methods, riots quickly spread across the country, and protests – including three general strikes, of varying success – continued into 1977. In the Western Cape, the revolt came to include many Coloured youth – most of whom were Afrikaans speaking – a very significant development. By the time the uprising ended there were more than 575 dead (451 killed by police), and 3,907 injured (2,389 by police). The SSRC and other organisations played a leading role, but the revolt was the property of no organisation: it was spontaneous and militant. Contrary to a myth now promoted by ANC leaders (and the claims of then-Prime Minister B.J. Vorster), the ANC, as an organisation, played a very limited role. BC was central amongst students, while many workers adhered to the independent politics of the reborn unions. The 1976 uprising marked the beginning of a new era. The costs were high, but Soweto showed that struggle was possible, opening the last chapter in the anti-apartheid struggle. The 1976 revolt rightly occupies a central place in the story of national liberation. The language issue sparked the revolt, but it was only the match to a tinderbox of grievances from capitalist restructuring and national oppression. The revolt should not be romanticised – it involved State terror, racial attacks, the first use of the notorious “necklace” against supposed informers, and the first major conflicts between township residents and hostel dwellers around the Mzimhlope hostel. Revolutionaries must also learn from past mistakes, as much as they should celebrate past victories. There were inherent weaknesses in the politics of the uprising. BC was a key factor in the struggle at the time, and the State found it necessary to ban 17 BC organisations and murder Biko before the revolt ended. But while BC’s emphasis on “black” pride was very important – every national liberation struggle will involve a similar mental liberation by oppressed groups – BC never had a clear strategy to change society. After the end of the revolt, many SSRC leaders fled into exile, forming the South African Youth Revolutionary Council (SAYRCO) in 1979, a body that proved as sterile and ineffective as the exiled ANC, SACP and PAC. BC stressed personal change, rather than building counter-power. It very rarely developed an anti-capitalist position, even though national oppression and capitalist exploitation were deeply interlinked in apartheid South Africa. In the late 1970s, many BC activists came to a more socialist position, exemplified by AZAPO and the National Forum, but BC had lost its moment. It was sidelined within a few years by formations like the FOSATU unions, the United Democratic Front and the rebirth of ANC influence. In any case, the socialism of groups like AZAPO was very heavily Soviet in orientation – hardly different to the SACP. Brutal attacks and murders of BC stalwarts by ANC supporters put a further nail in the coffin. SAYRCO was no different. Its main activity was to send leaders into South Africa to call upon the youth to join it in exile, when the 1970s had shown that the real struggle was within the country, with the exiled groups impotent. The eventual outcome was predictable: the exiled BC groups set up their own tiny “army,” a pale shadow of the exiled ANC’s own failed armed struggle, and even less effective. The 1994 elections showed that the national liberation struggle in South Africa had been conquered by the bourgeois anti-imperialism of African nationalism, which aimed to deracialise capitalism through the State. This was the ANC project. The alternative anarchist/syndicalist tradition of working class anti-imperialism – which aimed to merge struggles against national oppression, capitalism and the State in a single revolutionary process – was long buried. This does not mean that 1994 was meaningless. There were very real gains, like the end of legalised White supremacy, apartheid repression and press controls, even if there were also defeats, like the survival of capitalism. It was here that BC was tested one last time, and found wanting. By the 1990s, the once-mighty BC movement was a tiny isolated current, mainly middle class. It insisted – contrary to all evidence – that the 1994 elections were entirely meaningless and should be boycotted. The elections, however, were a massive victory for the African working class, even if that victory is now increasingly overshadowed by the ANC’s neo-liberal war on the poor. AZAPO saw only the defeats, boycotted the elections, and largely faded away as the African working class overwhelmingly voted to end apartheid and oust the National Party government. We anarchists have worked with BC activists on several occasions – the fact we are both outside the ANC tradition was important – but we do not think BC can provide a real alternative. The old-style BC of the 1970s lacked a strategy and a vision; the second generation BC of AZAPO – and the more recent SOPA breakaway – modelled its socialism too heavily on the State-capitalism of Cuba and the Soviet Union, and misunderstood the real changes that took place in the 1990s. And, as Semela shows, some BC activists found an answer in libertarian socialism. What, then, is to be done? Plural and organic forms of working class organisation should be promoted, working class autonomy and anti-capitalist and anti-authoritarian politics and organisation need to be fostered, and struggle needs to be made everyday practice. Building tomorrow today in such a manner, we can change the world, and honour the victims of 1976 with a real monument: a society free of class and national oppression. It is a far more fitting monument than having Thabo Mbeki cynically and disgracefully appropriating the 1976 revolt for the ANC. Selby Semela, Sam Thompson & Norman Abraham,  2005 REFLECTIONS ON THE BLACK CONSCIOUSNESS MOVEMENT AND THE SOUTH AFRICAN REVOLUTION is downloadable here.